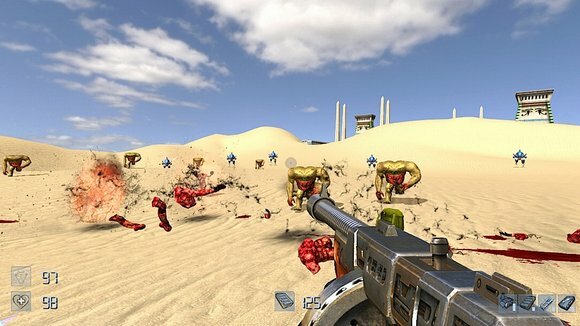 Co-Optimus - News - Want Serious Sam HD on Your PS3? Speak Up! The news of a high def remake of Serious Sam, to be released on PC and Xbox Live Arcade, had me giddy as a headless, shirtless, bomb wielding dude who could somehow still scream. Unfortunately, PS3 users are left out of all the fun. Or are they? Croteam CEO Roman Ribaric said financing was unavailable for a PSN version of Serious Sam HD to begin, but it's too early to say never just yet. If there is enough demand, your PS3 may be spouting one liners and cannonballs after all. Why not email Croteam and tell them you want to buy Serious Sam HD for the PSN?